In The Sims 4 At work is an alien world. One interesting finding that all our players should see How To Reach The Alien World? The easiest way is to get in through the black holes through a cheat, that I will show them in build mode of the game. 1 - Put the build mode of the game. Now that you are in this mode, press Ctrl + Shift + C to open the cheat console. 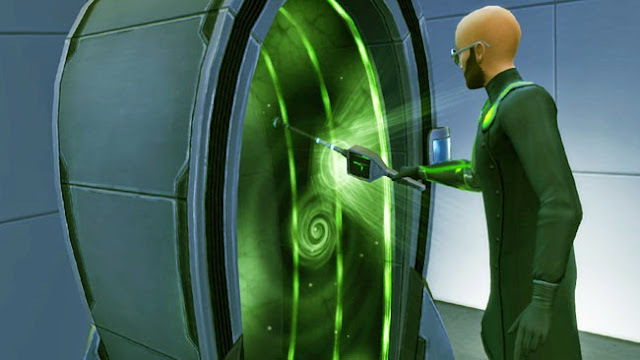 Write the cheat Sims 4 that unlocks the hidden objects, or bb.showhiddenobjects. 2 - Now look among the items to decorate the home section Hobby and skill where you will also find the chess table and the telescope you will see that there is an object called GENERATOR BLACKS HOLES FLUSSOELETTRICO. Place it in your home where you want. 3 - Return to the live mode. Press again Ctrl + Shift + C to open the cheat console and enter now usually main trick that enables advanced interactions with objects or testing cheats true. 4 - Press the generator black holes Electric flux with the mouse, hold down the shift key at the same time (the up arrow above the ctrl right). Will open the options of interaction advanced. Select "Update". 5 - Once updated by pressing back on the generator, we will see the option to "join the alien world"! You just click and you're done!